Porters are brown beers with a long history in England. Porters and stouts come from the same stock, and at one point would have been indistinguishable from each other. Today, it is usually the use of roasted barley that distinguishes stouts from porters. While stouts evolved, around the middle of the 19th century, demand for porters died off. By the two world wars, the beer style was virtually extinct. Several decades later, in the late 1970s and early 1980s, porters saw a revival. This was especially true in the States, where microbrewers resurrected the dormant style. As with stouts, porters come in several varieties. Brown porters tend to be lower in alcohol and a tad sweeter, with more caramel flavors, than other porters. Robust porters tend to be bigger, with more roast character. Baltic porters are smooth, cold-fermented and cold-lagered, brewed with lager yeast and have the malt flavors of a brown porter and the roast of a schwarzbier, but is bigger in alcohol and body. Sixty-four porters from Washington, Oregon and Idaho, of all styles, were selected and seeded by the public March 1-15. 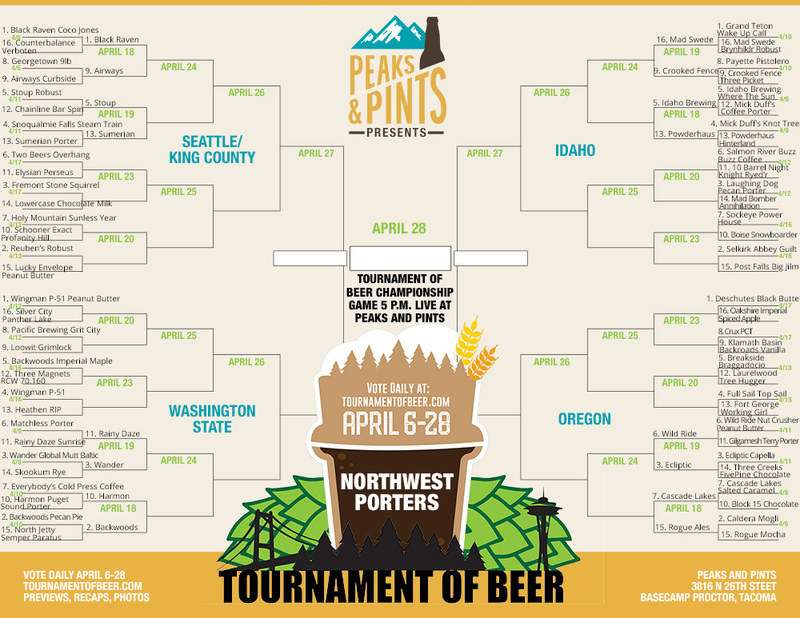 Today, Peaks and Pints’ Tournament of Beer: Northwest Porters has reached day five on its three-week run to crown a champion porter. Below is a recap of yesterday’s action followed by eight new porters hitting the courts today. We feel bad for the cyclists on this one. But, something tells us they’ll survive, and they’ll do so holding a delicious Bar Spin Brown Porter. 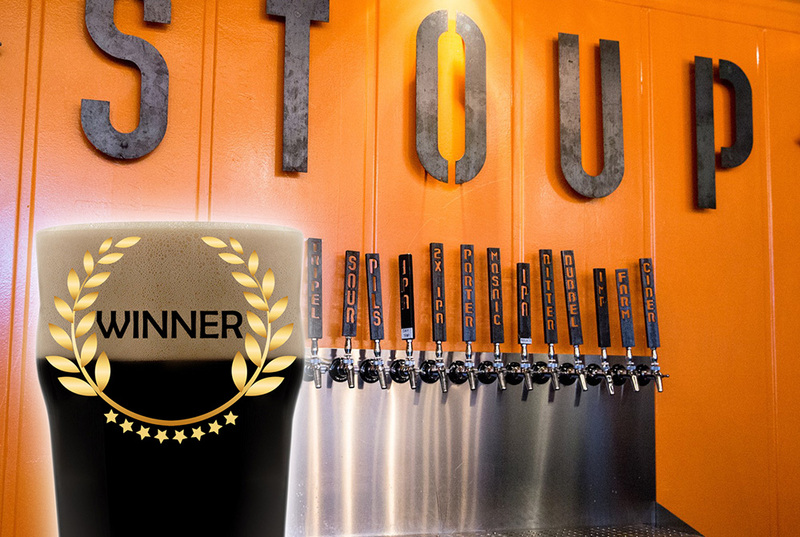 Unfortunately for cycling-themed Chainline Brewing the task of taking down Stoup Brewing’s Robust Porter was simply too much — and the votes told the story. When all was said and done, Stoup Brewing‘s Robust Porter moves on with 66 percent of the vote. Despite an early lead from Snoqualmie Falls Brewing’s Steam Train Porter, Sumerian Brewing’s Robust Porter and its large, devoted Woodinville fans proved too powerful in yesterday’s action, catapulting into the Second Round with 69 percent of the vote. Snoqualmie Falls Brewing and its flagship Steam Train Porter will survive. It seems unlikely Snoqualmie Falls will turn off. Remember Game Five of the 1990 NBA Finals? Down 3-1 in the NBA Finals, the Portland Blazers blew a seven-point lead with a 1:20 left and allowed Detroit’s Vinnie Johnson to score seven straight points, including the game winner. Terry Porter tried a three pointer to win … BRICK. The Detroit Pistons danced on the floor of Memorial Coliseum and Blazer fans cried. We’re not sure if Salem will cry after learning Terry Porter lost again. Wild Ride Brewing’s Nut Crusher Peanut Butter Porter crushed Gilgamesh’s The Terry Porter with 63 percent of the votes. What? Yeah, so what if we were Seattle Sonics fans. These are facts. These two Oregon breweries bounced base malts off each other all day until around 9 p.m. when Capella Porter began to pull away. Rumor has it Ecliptic Founder John Harris stood in the middle of his brewhouse expansion project and hurled globes at the wall, yelling, “In space no one can hear you scream!” As the clock hit 11:45 p.m., Ecliptic Brewing’s Capella Porter had 54 percent of the vote, and a spot in the Second Round. Player Stats: Wingman Brewers is porter. It’s not the only beer style the Tacoma brewery brews, but Head Brewer Ken Thoburn knows the style inside and out. 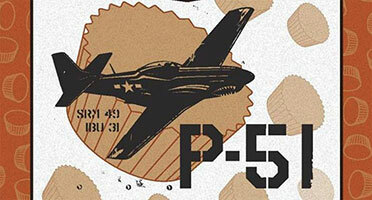 The P-51 Porter was Wingman’s first real beer recipe. “It goes back to 2008 when Derrick (Moyer) and I were home brewing,” explains Thoburn. “At the time, Lazy Boy Porter from Everett was my favorite beer around, so we tried to emulate that. The beer was initially made for a friend’s birthday and called Nalty’s Tall Order Porter since he’s a tall dude and asked us to make a Porter for his birthday party. The beer went over so well with our friends that it remains the only recipe we’ve never changed since Wingman started … with Washington-grown barley and Moxie valley hops.” Wingman introduced a peanut butter and coconut porter to the Port Townsend Strange Brewfest several years ago. At Wingman’s 2014 Porterpalooza festival, the Tacoma brewery dropped the coconut and added chocolate. It was a huge hit. It re-appeared for Porterpalooza 2015, then 22-ounce bottles as a seasonal. Peanut Butter Cup Porter tastes like a Reese’s Peanut Butter Cup full of rich peanut, chocolate, some light roasted notes and a decent amount of sweetness. Player Stats: Silver City Brewery is churning out so many hazy IPAs and barrel-aged beers that it’s easy to forget it also brew a mighty fine porter. Named after Panther Lake in Mason County, this porter showcases a fantastic balance of sweet and bitter malts. Smooth vanilla scents temper a wallop of chocolate and roasted coffee as the rich aroma tumbles from the pint. Flavor presents some chocolate notes, a touch of bold espresso, some topsoil earthiness, a bit of caramel sweetness and an awesome finish of lingering toasted malts. Player Stats: In 1897, Pacific Brewing & Malting Co. was established in downtown Tacoma and grew to become the second largest brewery in Washington state, until shut down by Prohibition in 1916. In the falloff 2015, head brewer Steve Navarro and financial businessman Brent Hall reopened Pacific Brewing and Malting Co., not in Tacoma’s old brewery district near 25th and Jefferson, but rather down the street in the lower level of the historic Old City Hall Annex Building on Pacific Avenue, near the corner of South Seventh Street. There’s a reason why locals still refer to it as “Grit City,” despite all the refurbishment of the last few years and its current status among the most livable cities in the U.S. Tacoma has always been a blue-collar stronghold with a colorful history, and its dark side turns up in numerous local legends and urban myths. 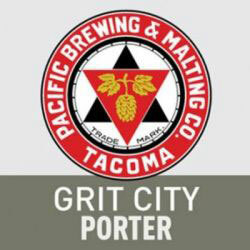 With a foot planted in its history, and the other in the city it loves, Pacific Brewing & Malting Co. brews Grit City Porter, a roasted coffee-toffee delight with and aromas from large amounts of crystal and chocolate malts. It’s tournament advantage: smooth and drinkable despite being full-bodied. 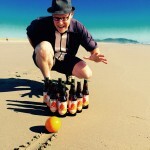 Player Stats: In 2012, longtime friends Devon Bray and Thomas Poffenroth opened Loowit Brewing Company in downtown Vancouver, Washington, helping revive the city and quickly became a force in the Southwest Washington beer scene. 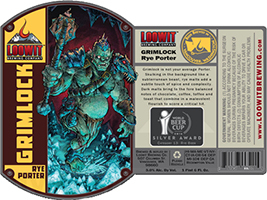 In 2016, Loowit Brewing won a Silver Award at the prestigious World Beer Cup for their Grimlock Rye Porter, an American porter featuring dark malts that provide pleasant flavors of chocolate, toffee, coffee and toast. The addition of rye malt builds the complexity of the malt profile by adding a touch of rye spiciness to the finish. Oh, it also won Gold at the 2016 Washington Beer Awards and Silver at the 2017 Washington Beer Awards so competitors might be a little grim. Player Stats: Salmon River Brewery is a partnership between Matt and Jennifer Hurlbutt and Matt and Ellen Ganz. Since opening the brewery, the owners have been too busy brewing beer and serving customers to tell the full story of building and opening Salmon River Brewery, so they let their Buzz Buzz Coffee Porter do all the buzzing. The English brown porter is light in body with dark chocolate notes and mild hop balance. Coffee aroma fills the glass but does not dominate. Strength: They make their own toddy cold coffee extract with Dark Sumatra beans from Boise’s Dawson Taylor Coffee Roasters. 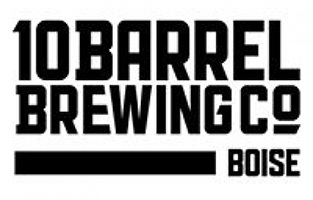 Player Stats: When 10 Barrel Brewing Company opened the doors to its cavernous brewpub in Boise five years ago, Boiseans were quick to embrace the addition to the Treasure Valley’s burgeoning beer scene. The Bend, Ore.-based company was voted Best Local Brewpub in the 2013 Best of Boise smashing the local brewpubs by a wide margin. The win had much to do with head brewer Shawn Kelso (AKA Big Daddy) who hones his skills for 11+ years at Barley Browns. He’s won more than 60 medals and is responsible for many 10 Barrel brews, including Knight Ryed’r robust rye porter. A touch of coffee and dark chocolate flavors collide with spice and licorice in this complex rye porter. 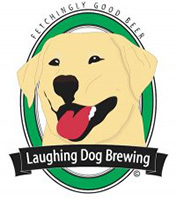 Player Stats: Laughing Dog Brewing, named the “Best Brewery From Idaho” by Ratebeer Best of 2014, has been producing award-winning beer since 2005. Its seasonal Pecan Porter leans more toward the classic campfire roast. Nose is big sweet chocolate pecan pie with some vanilla. Taste leads with the nuts, but a fine roast backbone balances the sweet chocolate, pecan, vanilla and hops. Finishes with standard clean dark roast notes and bitterness. 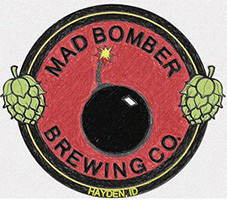 Player Stats: In November 2013, Tom Applegate, a former Army explosive ordnance disposal (EOD) specialist, launched Mad Bomber Brewing Co. in partnership with his wife and a pair of beer-loving bomb squad buddies. The named pays tribute to its dead-serious origins, with photos of bomb squad members in action (and some of their funerals), memorabilia including a former Taliban metal detector, tables fashioned from old ammo crates and a replica of the national EOD memorial bearing the names of those killed in action. If that doesn’t frighten the porter competition, Mad Bomber’s delicious Annihilation Imperial Porter with its smooth coffee roastiness and hop bitterness is the bomb.